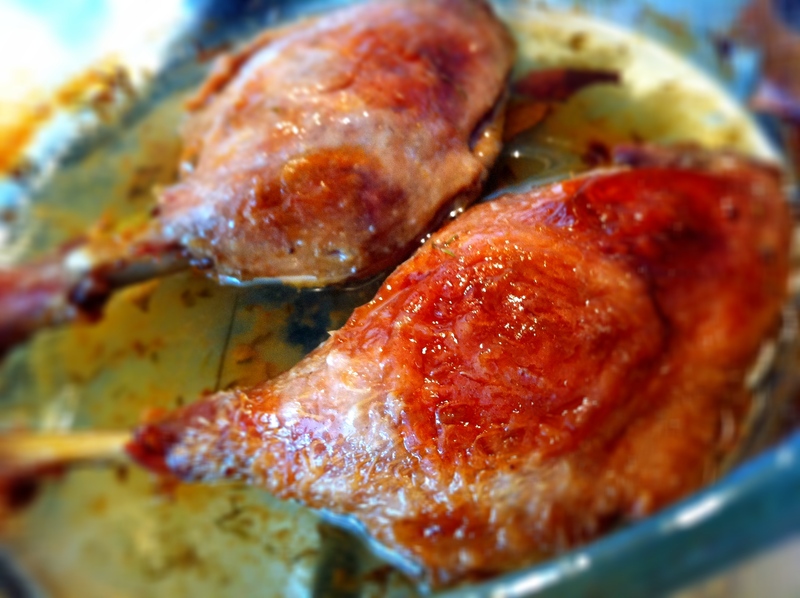 Sprinkle sea salt over both sides of the duck legs and put them in a freezer bag in the fridge overnight. The next day, preheat the oven to 170 degrees celsius while you scrape off the excess salt from the duck legs. 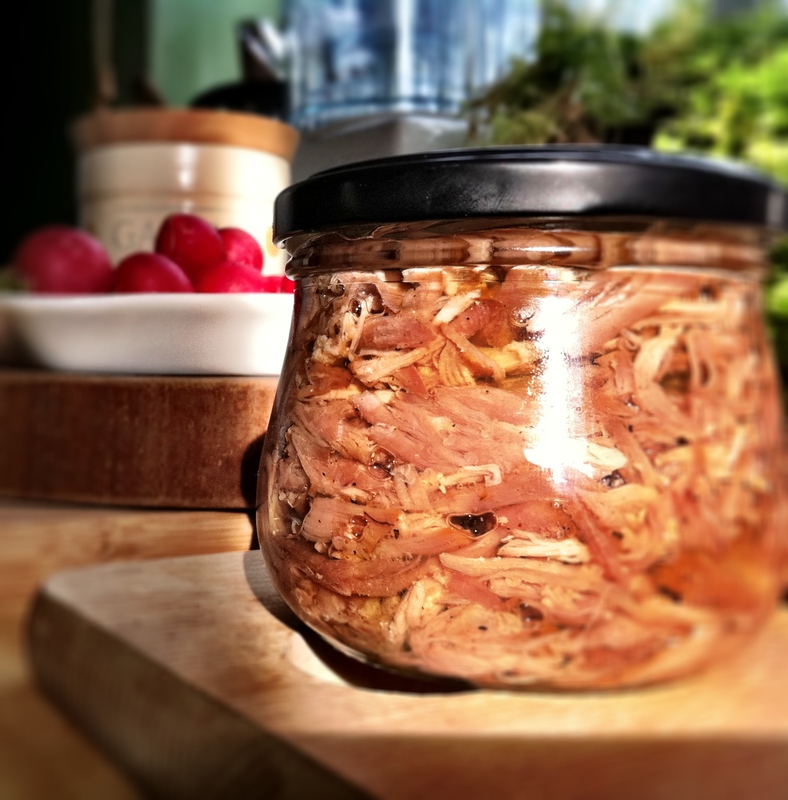 Place the duck legs in a casserole dish and scatter the bay leaves and thyme in and around the duck. In a saucepan, melt the goose or duck fat (I used goose fat) and add the 50 ml of brandy. Pour the oil and brandy over the duck. Cover it with foil and cook this in the oven for two hours. After two hours, remove the duck from the oven (be careful, the oil will still be bubbling and superhot!) and leave the duck legs to cool before handling. When they’ve cooled enough for you to pick up, tear all the meat off (I discard the skin and remove any gristle) and separate them either with your fingers or with two forks. 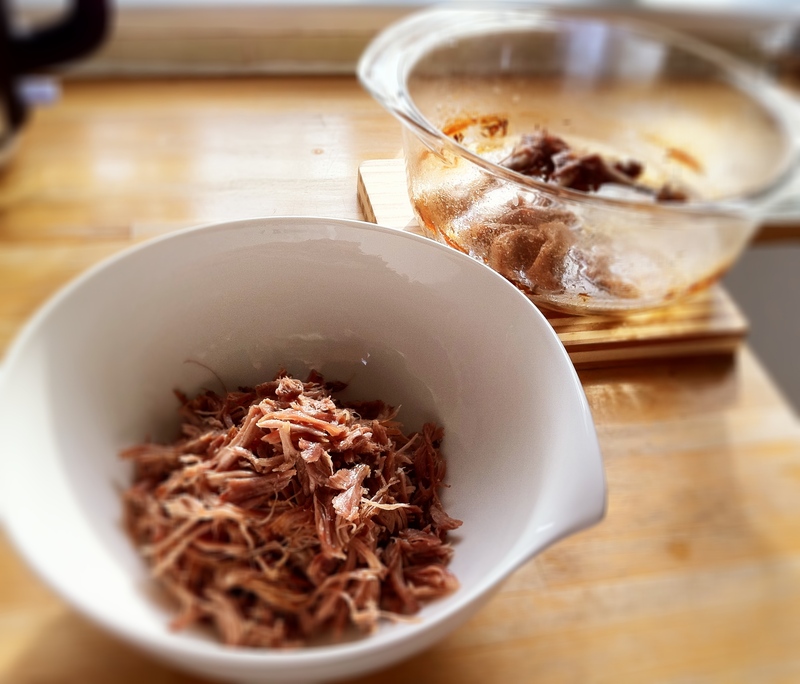 James Ramsden’s recipe called for additional seasoning with salt but I found my duck seasoned enough so i just gave it a good few grinds of black pepper and poured 2 tablespoons of the fat to mix everything up. 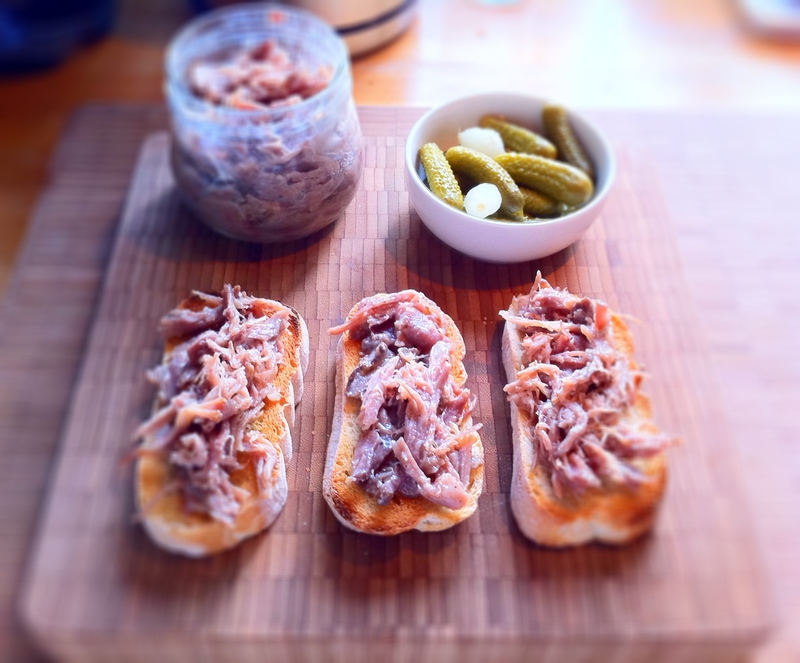 You’d normally pack the meat into ramekins but as I didn’t have any around, I lightly pressed the meat into an old (French) mayonnaise jar and when full, I spooned another three tablespoons of the fat until the meat had a light covering of oil. I would serve this on toasted bread, spread with quite a tart chutney if you have any, and a plate of pickled onions and cornichons on the side. Bon appetit!